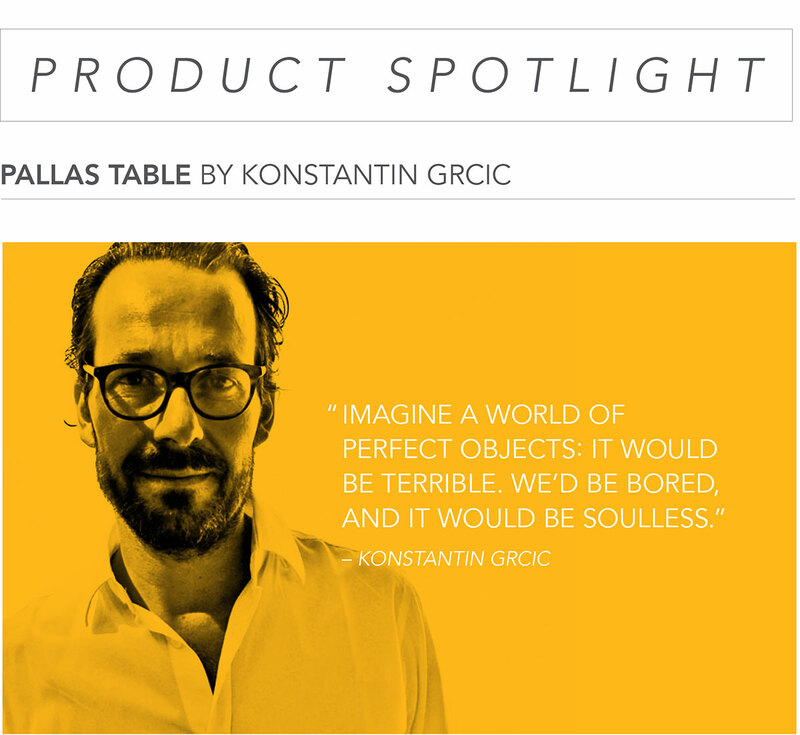 The Pallas table, designed by Konstantin Grcic, commands attention in any room it occupies. At the second glance, it reveals an abundance of exciting design details: kinks and notches which break up and give life to the smooth lines, the screwed joints on the underside, the tactile appeal of the powder-coated metal surface. 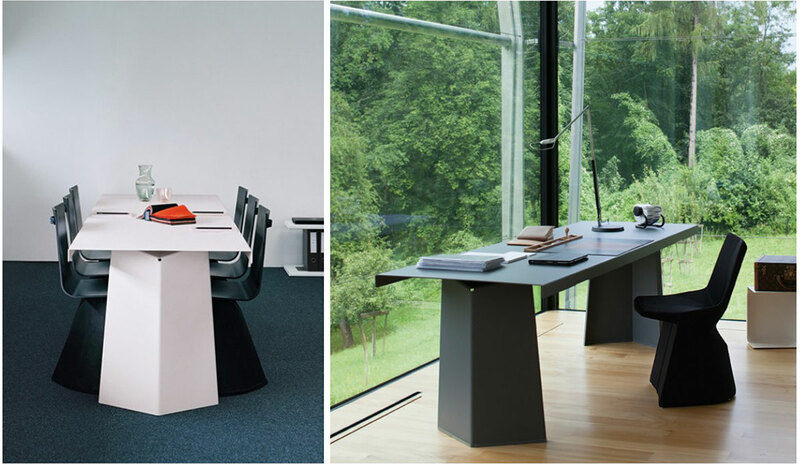 The Pallas table is made from heavy gauge sheet metal, making reference to Jean Prouvé’s ‘Grande table’ of the 1950s. The proportions are designed in such a way that people sit closer to each other to allow for more intimate conversation. Pallas is available in steel, powder-coated texture, in jet black, basalt gray, cream, signal white, honey yellow, ocean blue, grey blue, coral red, bronze brown or chocolate brown. 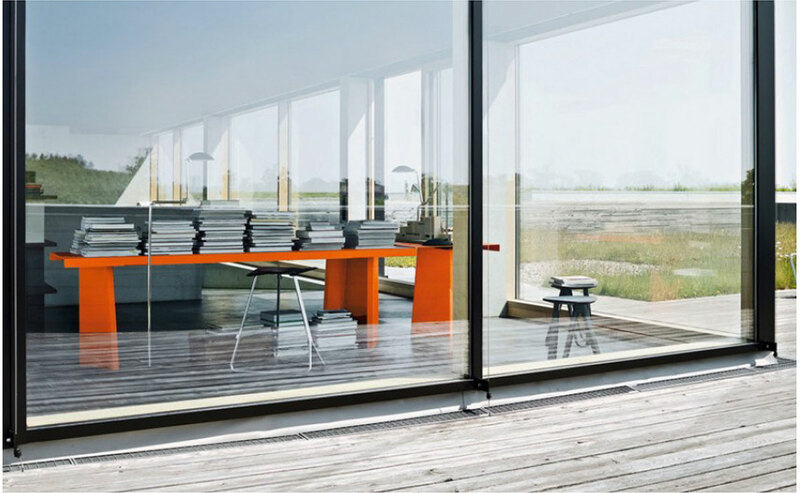 Outdoor version is galvanized, weatherproof in the color of aluminum.